If there is a bad place to lose a job, it’s the San Francisco Bay Area, where it’s not uncommon for a one-bedroom apartment to cost $3,300 a month. That’s what happened in March 2016 to Kristin Hanes, a reporter at a large San Francisco radio station, when she and many others were laid off with no warning. Suddenly Hanes was facing homelessness. 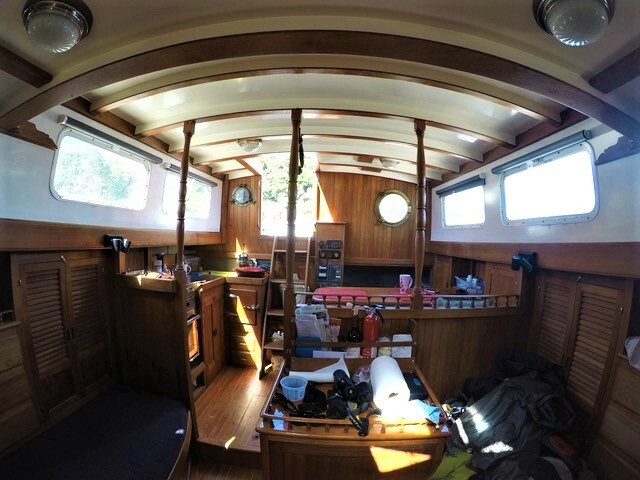 Freelance journalist, blogger, voice-over artist and pet sitter Kristin Hanes shares this 150-sqaure-foot sailboat interior with her boyfriend. They plan to sail the West Coast when the renovations are complete. 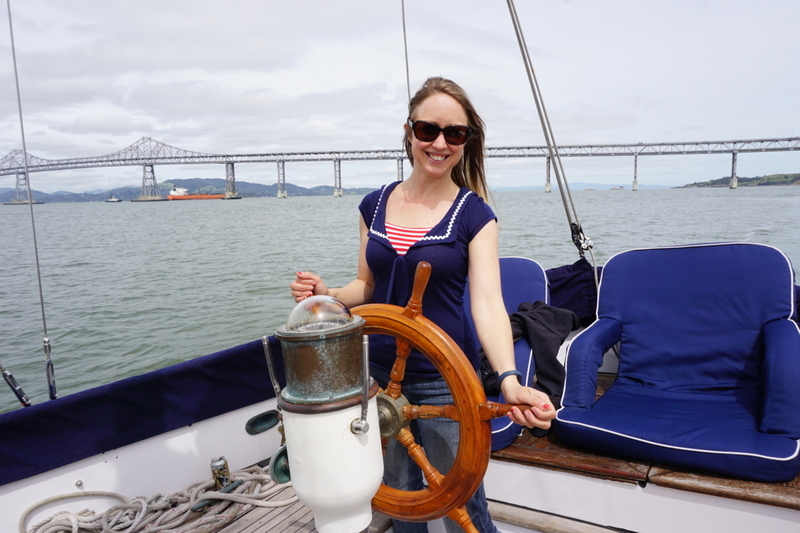 Hanes purged her belongings for a second time (more on that later), stored a few things and took the rest to her boyfriend Tom’s 41-foot sailboat, anchored in San Francisco Bay. It’s been a drastic change of lifestyle, but it has allowed Hanes to spend more time doing what she loves — traveling, exploring, having new adventures and meeting people who share her values. But how does one living in a high-rent district and with no regular job manage to buy groceries and pay for life’s other necessities? By cobbling together a string of jobs, Hanes said. She does some freelance writing, monetizes her blog (“I hope to do more with this in the coming year”), does voiceovers for a tech company and pet-sitting, which has dual rewards. “Over Thanksgiving, I had 10 days in a beautiful house in Berkeley, and they paid me, too,” she explained. Still, when she and Tom are on the boat, it takes some ingenuity and patience to live comfortably in 150 square feet. The couple also has been resourceful when it comes to life’s basic needs. Adapting to this lifestyle hasn’t been as hard as some might think. This is actually the second time Hanes has moved from traditional housing to, well, an alternative. The first time around it was her choice. In 2015, she voluntarily vacated her $1650-a-month studio apartment in Mill Valley (north of San Francisco), jettisoned much of her stuff, and moved into a rent-free tent on Mt. Tamalpais with her boyfriend. The goal was to pay off a $4,000 “lingering debt.” She tells of this adventurous and sometimes dangerous endeavor in a feature written for Marie Claire Magazine. (http://www.marieclaire.com/culture/a27792/homeless-on-purpose/). So for now, Hanes is focusing on the present. For more photos and travel talk, visit www.facebook.com/elouiseondash. Have an interesting travel-related story and photos? Email me at eondash@coastnewsgroup.com.